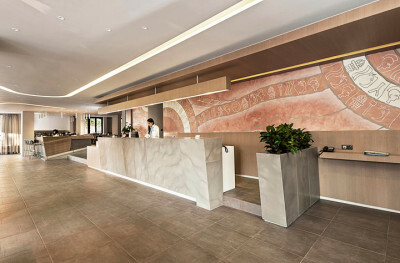 KRITI Hotel Interior Design in Greece – history and modern elements in one. 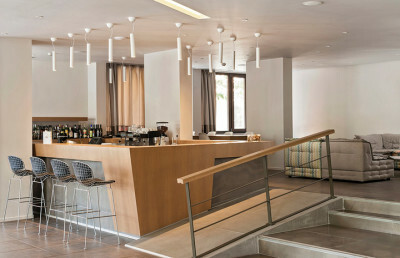 The beach-front Kriti Hotel is located in the Koum Kapi district within the city of Chania at Crete. This four-story hotel was built in 1971 and was recently renovated to maximize functionality while updating the aesthetics. The designers infused the hotel design with modern and svelte visual elements that feature geometric patterns with classic historic mosaics and the finest of materials. 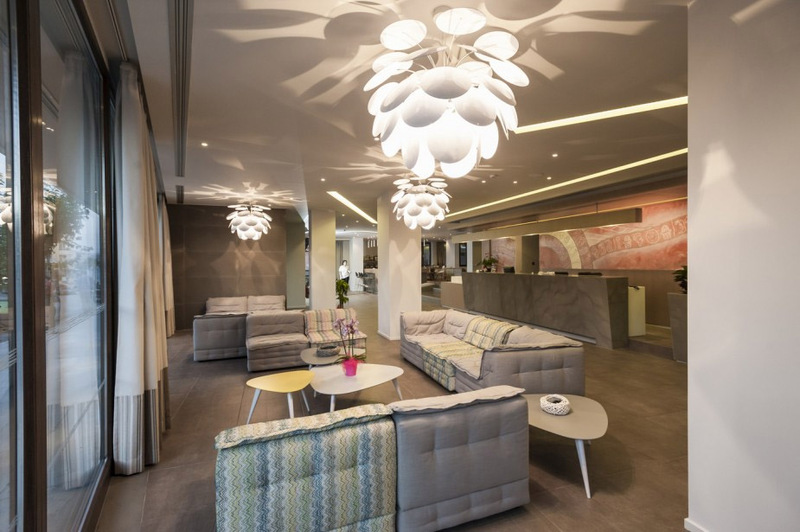 While the exterior of the Kriti Hotel presents an understated and rather simple ambiance, subtle modifications on the outer shell enhance the building’s thermal insulation and increase its energy efficiency. The common spaces of the hotel interior are elegant and opulent with marble, tiles, and wood in subtle natural tones combined with geometric shapes and modern, dynamic lines. The wallpapers and artistic images portray various aspects of life and traditions in Crete, resulting in a revitalizing yet relaxing atmosphere throughout the hotel. Guests of the Kriti appreciate the thoughtful planning and interior designer touches within the hotel interior, which has reserved the suites on the first floor to accommodate the needs of guests with disabilities. 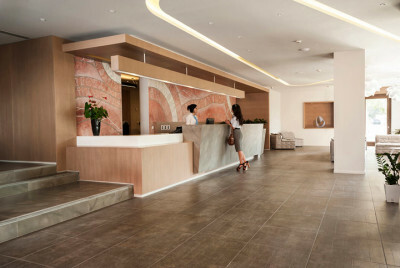 These guests are provided easy access to the main lobby and reception room, a bar, a conference room and business center, and a TV corner. 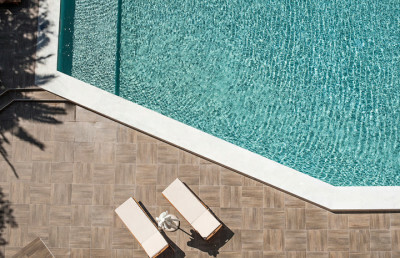 The hotel’s restaurant, gym and changing rooms, swimming pool, and other auxiliary rooms are easily accessed on the first level basement floor. Guests are offered a choice of delicious light meals at the snack bar, or full meals from a buffet-styled menu in the breakfast room. Each of the Kriti’s 84 suites is embellished with furniture specifically designed for the individual room. 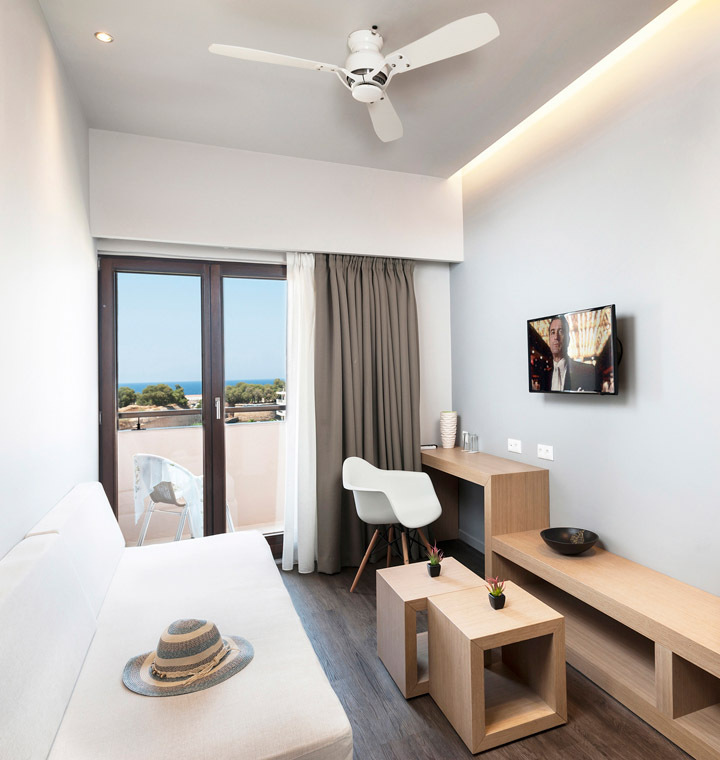 The suites are equipped with flat-screened satellite TVs, wired or wireless internet access, air conditioning and a fan, a minibar, and a private balcony; and guests can choose standard double or twin beds. 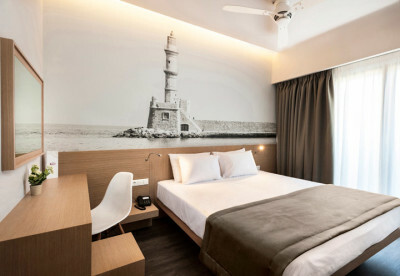 The Kriti Hotel is an optimal choice for visitors to Crete for ease and comfort, quick access to the gorgeous shoreline, and 24-hour room service from a notably friendly staff. 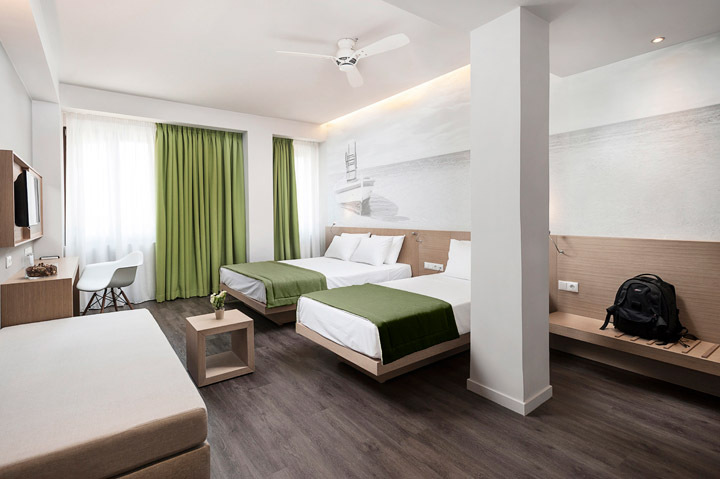 Colors for the interior of the hotel rooms are very natural: olive green, warm wood, darker wood flooring contrasting with white background of the walls and ceiling. You can learn more about this hotel HERE.